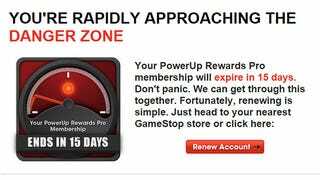 "Red Alert: Renew Immediately" was the subject line GameStop used to let me know I would soon be adrift in a sea of no savings. PowerUp Rewards is serious business. Yikes.